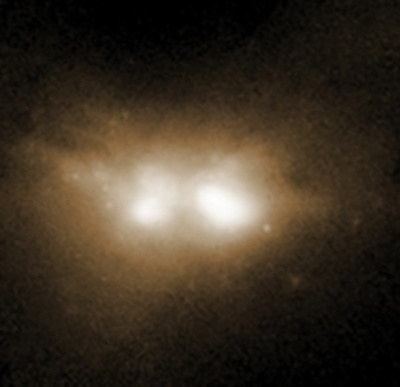 For the first time, a team of astronomers has observed several pairs of galaxies in the final stages of merging together into single, larger galaxies. Peering through thick walls of gas and dust surrounding the merging galaxies’ messy cores, the research team captured pairs of supermassive black holes—each of which once occupied the center of one of the two original smaller galaxies—drawing closer together before they coalesce into one giant black hole. 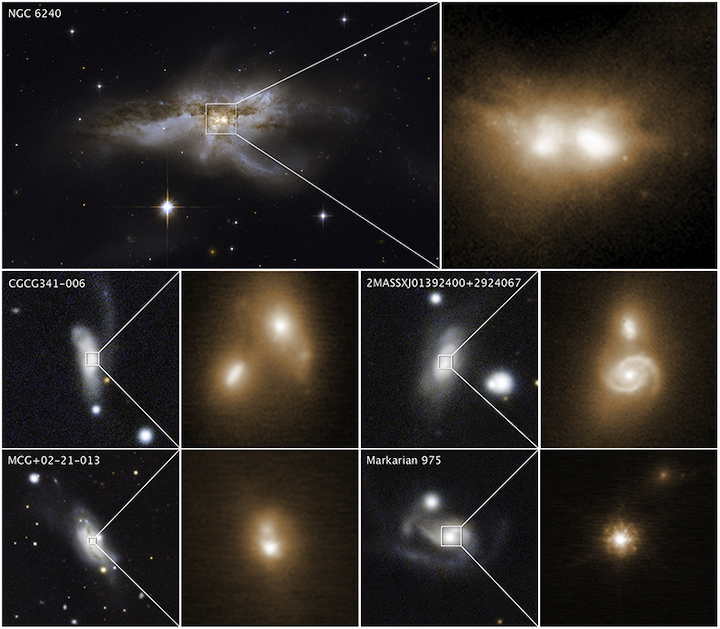 The high-resolution images also provide a close-up preview of a phenomenon that astronomers suspect was more common in the early universe, when galaxy mergers were more frequent. When the black holes finally do collide, they will unleash powerful energy in the form of gravitational waves—ripples in space-time recently detected for the first time by the twin Laser Interferometer Gravitational-wave Observatory (LIGO) detectors. The team targeted galaxies located an average of 330 million light-years from Earth—relatively close by in cosmic terms. Many of the galaxies are similar in size to the Milky Way and Andromeda galaxies. In total, the team analyzed 96 galaxies observed with the Keck telescope and 385 galaxies from the Hubble archive. 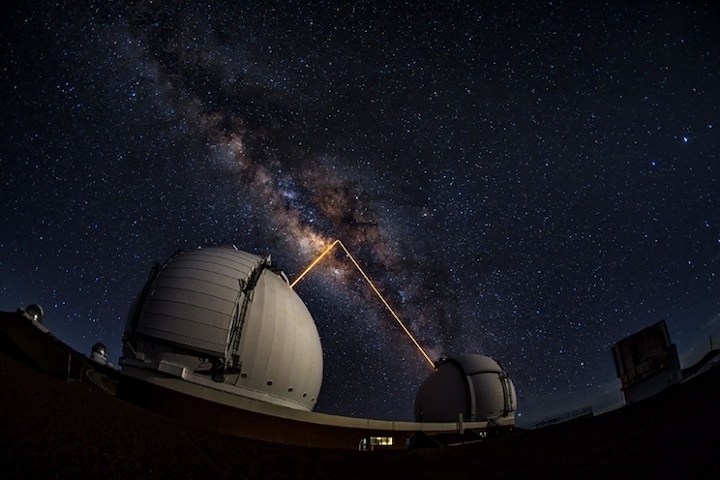 The research paper, “A Population of Luminous Accreting Black Holes with Hidden Mergers,” Michael Koss, Laura Blecha, Phillip Bernhard, Chao-Ling Hung, Jessica Lu, Benny Trakthenbrot, Ezequiel Treister, Anna Weigel, Lia Sartori, Richard Mushotzky, Kevin Schawinski, Claudio Ricci, Sylvain Veilleux and David Sanders, was published in the journal Nature on November 8, 2018. This work was supported by NASA (Award No. NNH16CT03C) and the Swiss National Science Foundation (Award Nos. PZ00P2 154799/1, PP00P2 138979, and PP00P2 166159). The content of this article does not necessarily reflect the views of these organizations.